I received the Master's Cup award at the biannual Ornamental Turners International symposium, held in San Jose (September 2010). My entry was the recently completed Pagoda Box, which features five separate boxes from the combination of 21 different parts, all hand turned using an ornamental lathe and rosette lathe. 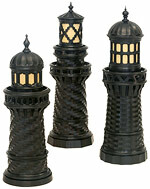 The Summer 2010 issue of Ornamental Turners International Magazine featured my lighthouse boxes on the cover and additional detail photos inside. 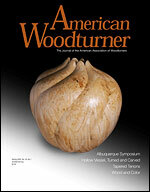 The June 2010 issue of American Woodturner magazine includes the article "Educational Opportunity Grant Auction - Hartford Symposium" in which my work is shown among several turners whose pieces were selected for the live auction portion of the fundraising event. 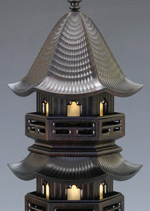 The "Lighthouse Box" received a third place award in Seattle's Northwest Fine Woodworking's (2009) 30th Annual Box & Container Show. 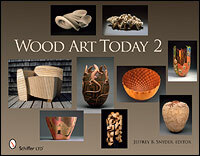 Santa Cruz Woodworkers launched their premier exhibit at the Rittenhouse Building in downtown Santa Cruz in November 2009. On display were more than 40 pieces by members of the group, which is dedicated to fostering appreciation for locally-produced, one-of-a-kind, handmade woodwork. 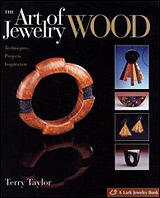 The Summer 2009 issue of American Woodturner magazine includes the article "Educational Opportunity Grant" in which my work is shown among several turners whose pieces were selected for the live auction portion of the fundraising event. 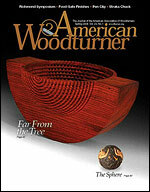 The Spring 2009 issue of American Woodturner magazine includes the article "California Contours Exhibit 2008" in which my work is shown among several turners whose pieces were selected for an exhibition of lathe-turned work showcasing the talent of California woodturners. 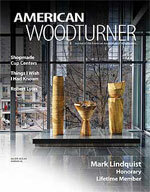 "Cosmic Burst" was selected for an award by juror/woodturner John Jordan at "California Contours," an exhibition of lathe-turned work showcasing the talent of California woodturners. The evolution of my woodturning craft and explorations in ornamental turning over the past eight years was on display during the 2008 Santa Cruz County Open Studios Art Tour. More than 90 pieces from private collections were displayed. 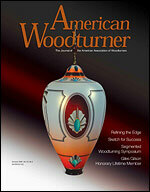 The Spring 2008 issue of American Woodturner magazine includes the article "Rose-Engine & Kings" in which my work is shown among several turners whose pieces were selected for the Wood Turning Center show "Rose-Engines and Kings: Contemporary Ornamental Turning" in Philadelphia.